Noriaki Abe, the president and CEO of Asian Honda Motor Company, set to take over as CEO of Honda's global motorcycle business set the interweb buzzing a few days ago. He said, "We have already allocated the people, from Thailand, Japan and India to make a new mid-sized motorcycle in India." He further revealed that the motorcycle would compete with Royal Enfield and that there was an export intent that would happen if and when. What followed was a burst of stories followed by a rapid machine gun response, "Honda? Make an RE competitor? They don't have the thump." And so forth. I would like everyone to take a chill pill. When I started in this business in the year 2000, Royal Enfield was the sleepy baby pachyderm in the corner. It slept all day and all night and no one gave a rodent's posterior about what they were up to. Except for its fans, naturally. And today, they're the world's most profitable two-wheeler. They grow when everyone else suffers. And their sales are now so big that no one can ignore them. They are now the alpha male elephant in the Indian premium motorcycle room. As you already know, Bajaj has said the Dominar 400 - and more products to come - will attack the price space that Royal Enfield dominates. And obviously, they are not and will not remain the only one. Honda is the world's largest two-wheeler brand and obviously they want a share of the pie. Ideally a really, really large slice. So Abe's decision to go after the same market as Royal Enfield shouldn't come as a surprise. But before we all say all sorts of things, let us understand a few things that form the background to someone like Honda taking on someone like Royal Enfield. Not that the motorcycle business is a fast-moving space in terms of product development to start with, but the Japanese companies are notorious for being really slow to develop new products. It isn't that they drag their feet over projects but that they're super-thorough and that takes time. What I am getting at is that if Honda is saying they've constituted a team, then the first product might be at least three years away. Take a moment to think about that. 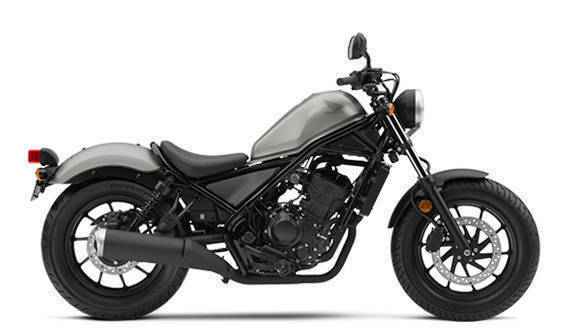 This middleweight Honda motorcycle is going to be, if you're lucky a 2021 model that shows up at the motorshows in November 2020. Let's dig one level deeper. This also means that Honda (and whoever else is setting out to go after Royal Enfield) doesn't have the luxury of poking and prodding current models to see what to make. It means this IndoThaiJap team has to think about what the nature and shape of this market will be like in 2021 and say, five years after that. That determines what they would make. To wit, Royal Enfield's 750cc twin is due this year. But by 2021, that twin might have grown up in displacement or evolved into three or four roles. Or been replaced by a smaller turbocharged engine. The 350s might still sell but the 500s market may have dried up. There are a million combinations. And someone at Honda - and every other manufacturer - has to figure this riddle out and make predictions. And the new bike will be founded on those ideas. If I were Royal Enfield, I'd be pretty smug. Because the success of the brand isn't coming from the product itself and there are many other strengths in play. Like RE's unrivaled club scene. Or their ability to endless produce hard hitting communications. Or the fact that at the end of the day, RE's teams ride more than any other manufacturer I know. Or that the company rides (like actually rides their motorcycles) with their customers more than anyone one else. In theory, it is possible to compete with anything because if the product exists, using it as benchmark and exceeding it is not that hard a challenge. Making a 350 or 500 or 750 twin that outperforms the corresponding Royal Enfield is not a hard engineering challenge. But outperforming Royal Enfield in the market is going to be a hard, hard battle. For example, the club scene that powers a lot of the draw and appeal of Royal Enfield. It's been nurtured over well over a decade. Can you think of a way for someone to jump start a brand-specific club scene and make it the hottest, most happening thing overnight? If yes, you're about to get very rich. What I am super kicked about is the simplest of things. Our premium market is still so small and so new that the big elephant in the room isn't actually anywhere close to filling up the room. There is space for a lot of new bikes to come. For a lot of new niches and roles to be tried out and for many, many brands to find places to put down anchors and call their own. And we, the enthusiasts, will be the lucky ones. We will get to pick and choose who we give our money to and what we get for our money. It isn't going to happen overnight and a lot of water is yet to flow under this particular bridge. But boy, the floodgates will open and then we, the one per cent, will finally get the attention and options we deserve.